Waller County Texas Juvenile Defense Trial Attorney James Sullivan is a recognized expert in juvenile law and fights to defend children accused of delinquency offenses. Since 1994, Jim Sullivan has fought to defend thousands of children accused of delinquency. He has defended children in juvenile court on virtually every kind of delinquency case, ranging from misdemeanor possession of marijuana to felony murder. He is appreciative of the clients who took the time to write a review. 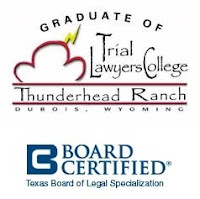 Attorney James Sullivan is Board Certified in Juvenile Law by the Texas Board of Legal Specialization. .
Hempstead, Texas Juvenile Defense Attorney James Sullivan views his representation of juveniles in court as a calling. He is passionate in his representation of children in juvenile court. If your child needs a juvenile defense lawyer, call Sullivan at 281-546-6428.